Digging deep into the Cars 3 spoilers and the trailers, we find this movie is going to be incredibly exciting. What a movie buff expects from an animated movie? A good story? Good animation or what? Riding beautifully on the expectations of the animation movie lovers Disney Pixar's Cars-series has successfully managed to make the movies extremely engrossing for the viewers that they can relate with the each and every character. 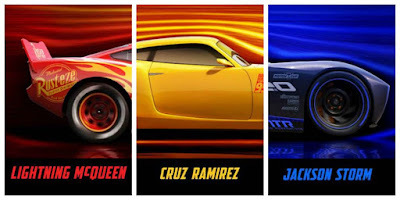 And the popular Cars franchise has been wooing our minds off ever since 2006 as the makers of the computer animated sports movie rolled out its first installment back then. 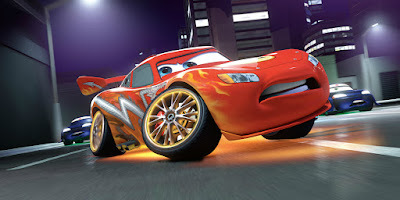 Based on the protagonist Lightning McQueen as well as the other anthropomorphic cars the storyline of both the installments of the film released until now has won over innumerable hearts. Therefore, the moviegoers are now anticipating that the upcoming installment called Cars 3 will also keep up with their expectations. This time the film has an all new director Brian Fee as the previous movies under the franchise were made by John Lasseter, therefore it is quite expected that the viewers are looking forward to witness a lot of changes in the plot line of Cars 3. However, the previous installment of Cars was rolled out in the year 2011 and after the film’s immense success; moviegoers are now anxiously waiting for Cars 3 to hit the silver screens. And it seems that the fans do not have to wait for too long to witness the happenings of Cars 3 as the movie will be released on June 16. The earlier movies in the Cars franchise are known for fetching humongous earnings as their box office collection and this happened because the films attracted an enormous amount of people and the theaters witnessed an impressive crowd on a regular basis. The filmmakers of Cars 3 have obviously spent a lot of money to make the movie and it is expected that even the third installment of the computer animated film is going to be a box office hit. And now coming to the plot line of Cars 3, it has been said that a negative character that would be called as Jackson Storm is going to give Lightning McQueen a tough completion and will eventually become his rival. This might sound quite intriguing but there is more to it. Lightning McQueen will be seen going through a bad insecurity due to Jackson Storm’s impressive speed as he is a new age polished car. And it has also been pointed out that both Lightning and Jackson Storm are going to race with each other at the Piston Cup Racing. Well! The revelation has already made the viewers much more excited and now they are just waiting for Cars 3 to hit the silver screens. “Jackson Storm is the face of these rookies who have come onto the scene,” says director Brain Fee. McQueen is at that crossroad in life where an entire generation is ready to push him out of the tracks. Fee tells that the story is something that most people would be able to relate to. The feeling that you might is outdated and therefore unwanted is one of the most terrible kinds of feeling, and it’s something that everyone has at one point in their lives, been exposed to. Director Fee had been storyboard artist on the previous Cars films. Nevertheless, Owen Wilson will be once again voicing for Lightning McQueen which is surely good news for all the fans. And by going by the success of the previous installments, Cars 3 would have all the potentials to acquire a lot of recognition. As per trailers, things are going to get mush gritty in the new film. The official poster features a flipped McQueen, possibly indicating at his near-destruction accident. The poster does really capture the essence of the story which is much less light-hearted than the two films before. Because the last film in the series made some $562.1 at the box office, Cars 3 too, is expected to be a huge hit at the box office. We just hope it’s worth our time and money. Cars 3 will be releasing on June 16, 2017, release.